Operation Wisła (Polish: Akcja ‘Wisła’ or Akcja ‘W’). The code name of the military operation, by Polish military and security units (28 April to 31 July 1947), that resulted in the deportation of 150,000 Ukrainians from their autochthonous territories (the Lemko region, Sian region, and Kholm region) in southeastern Poland to Poland's ‘regained territories’ (Ziemie Odzyskane), newly acquired from Germany, in the north and northwest. Officially the purpose of Operation Wisła was to destroy Ukrainian Insurgent Army (UPA) units active in the Lemko region as well as to deprive them of a base of support among the local population. On 17 April 1947 the Polish State Committee on Public Security issued an order for the implementation of Operation Wisła, and it was sanctioned by a decree of the Presidium of the Council of Ministers of Poland dated 24 April 1947. Gen S. Mossor headed Operational Group Wisła, which included approx 20,000 regular Polish troops as well as internal security troops, members of the militia, and armed civilians. The principle of collective responsibility was applied, and all Ukrainians in the affected territories, regardless of their political views and affiliations, were deported. The deportation process was swift and brutal: deportees were often given only a few hours to prepare themselves, could take only limited belongings, and were transported to their destination in crowded boxcars. The food supply was irregular, sanitary conditions were poor, there were many delays en route, and the deportation process was accompanied by considerable violence. 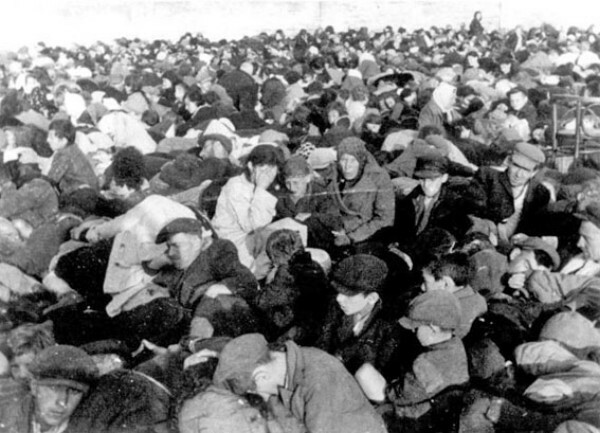 Some deportees died in transit; those who resisted deportation, or were suspected of aiding the UPA, were imprisoned in the Jaworzno prison camp in Silesia. The deportees were dispersed over a wide area, primarily in the provinces of Olsztyn, Szczecin, Wrocław, and Gdańsk. They were to constitute no more than 10 percent of the population in any one location, and the eventual goal of government policy was their assimilation into the Polish majority. 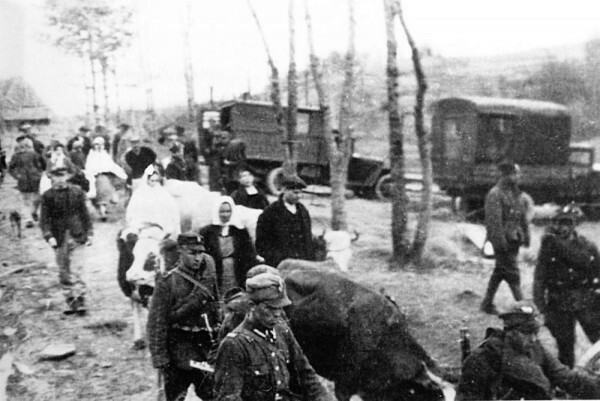 Living conditions were harsh, since the deportees were not properly compensated for their lost property, and the best land and buildings in the ‘regained territories’ were already occupied by Poles who had been ‘repatriated’ from Soviet-occupied Western Ukraine (Galicia and Volhynia). Operation Wisła succeeded in atomizing the Ukrainian community in postwar Poland, and the existence of the community was not recognized by the Polish government until 1956, when limited organizational activity was permitted. Before 1957, deportees who tried to return home were imprisoned in the Jaworzno prison camp, and after 1957 only a few thousand were allowed to resettle in their ancestral homeland. Attempts to attract Polish settlers to that area were largely unsuccessful. It continues to be underpopulated, and many distinctive Ukrainian wooden churches and other cultural monuments have been vandalized or destroyed or have fallen into disrepair. A number of popular Polish novels dealing with Operation Wisła (notably J. Gerhard's Łuny w Bieszczadach [The Glow in the Beskyds]) contributed to a generally negative Polish stereotype of Ukrainians by depicting them in a crude and hostile fashion. Since the 1980s, however, a number of Polish publications have discussed Operation Wisła in a more forthright and objective fashion. 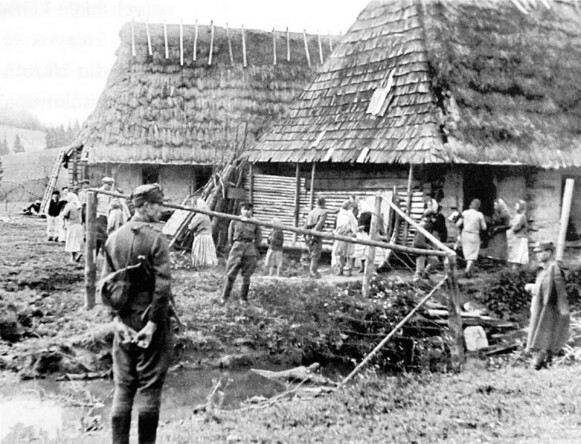 Nevertheless, much popular opinion in Poland links and compares the events surrounding Operation Wisła to atrocities perpetrated by Ukrainians against Poles in Volhynia during the Second World War. At an official level there have been some efforts at reconciliation: in August 1990 the Polish Senate passed a resolution condemning Operation Wisła (although the same has never transpired in the Sejm); in May 1997 Polish president A. Kwasniewski and Ukrainian president Leonid Kuchma signed a Declaration of Understanding and Reconciliation in an effort to move beyond mutual recrimination; and in April 2002 (in a letter addressed to a National Rememberance Institute conference commemorating the 55th anniversary of the action) President Kwasniewski openly expressed official regret over the operation and rejected the notion that it should in any way be linked to earlier events in Volhynia.